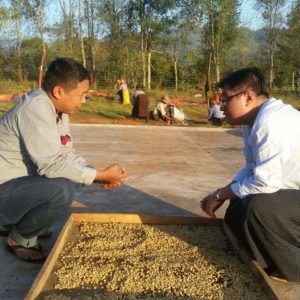 It was December 2015, when I first met Aung Win Kyaw, the owner of the coffee company Shwe Ywar Ngan. 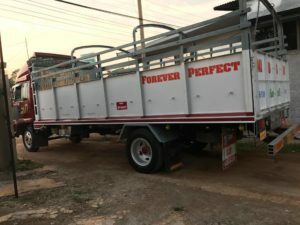 I heard about the company through my local contacts in Myanmar and decided to visit it myself. The coffee processing plant Shwe Ywar Ngan was established in 1975. At that time it was one of the first specialty coffee processing stations in the region. During the coffee harvest, together with two local coffee traders, I had travelled by car from Kalaw to Ywar Ngan in Southern Shan State. Ywar Ngan is the heart of specialty coffee in Myanmar. It is not very far from the coffee region in Eastern Shan State where it is very difficult to go because of ethnical conflicts. 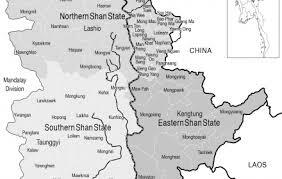 In contrast to Eastern Shan State, a permission for travels is not needed. Coffee can flow easily between producers and the processing station. Moreover, Southern Shan State with its famous Inlay Lake and Shan hills is one of the most favourite places visited by tourists. When we reached the coffee processing station in Ywar Ngan it was almost getting dark. The time was ticking. Aung Win Kyaw had to assure that all freshly harvested coffee cherries were quickly moved from the farms to the processing station (coffee cherries have to be processed within less than 24 hours to avoid fermentation). As routined manager he was operating at all fronts, while his daughter, Su Nandar Linn, proved to be his second right hand. 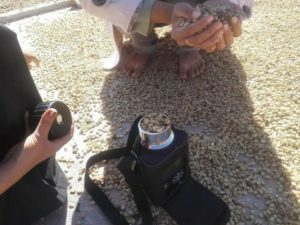 Only 23 years old, together with her younger brother, they are already supporting their father’s coffee business and engaging with the coffee communities from Danu Hill Tribe. 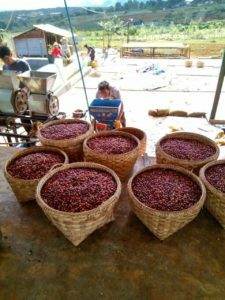 When asking her about the coffee payment to the community farmers who are delivering their coffee cherries to Shwe Ywar Ngan’s processing station, she started breaking down the coffee price and accurately presented all fair price details. I spoke with Su Nandar Linn prior to dinner about what means to her being a young coffee entrepreneur in an emerging coffee producing country. Read about the 7 reasons why you should love “Yellow Diamond”, her and our product, even more. During my studies, at the age of 20, I got involved into coffee and since then I work with full dedication. My first teacher was my father. My father taught me how to cultivate and process coffee. I am attending many coffee workshops and seminars to learn more about coffee. I can’t say that I’m doing things differently than my parents. I am copying processing methods from my father. In addition, I am trying to achieve a more precise and recordable coffee processing. For example, when my father started processing in the 1970ies, nobody had heard about “moisture meter” (moisture meters are used to measure the percentage of water in the coffee bean). He used to check the moisture by cracking the beans with his teeth to know whether it is dry or not. In contrast, I am keen to use the moisture meter in order to be accurate in my judgment of the coffee bean’s consistence. I am proud that my coffee is sold to Switzerland and to European markets. My product does not only represent coffee, but also stand for the name and identity of the origin (Shan State, Ywar Ngan). In future, more coffee buyers will have heard about Myanmar specialty coffee. I hope that we will see better market linkages for Myanmar in the long run. 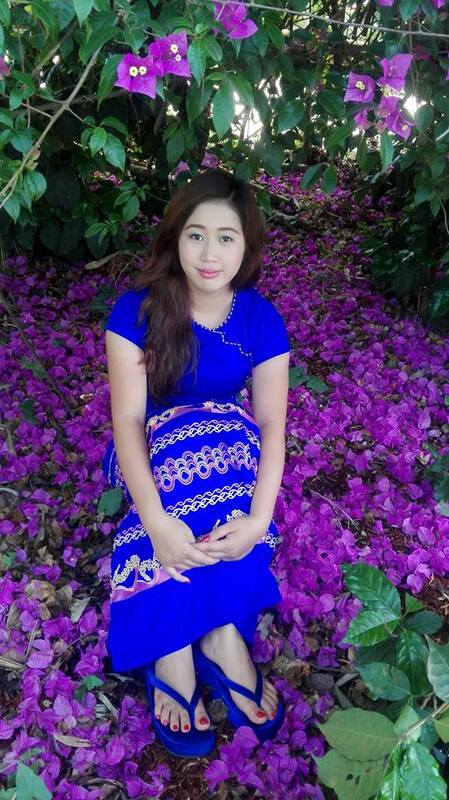 I consider myself as representative of the next generation of producers and processors in Myanmar. The Myanmar coffee sector is fully depend on the next generation farmers and processors. There are many young entrepreneurs like me who are dedicated to specialty coffee and who are working hard to improve both, quality and quantity. I have been working very hard to get where I am now and I hope the future of Myanmar’s coffee sector will be bright.